Physical characteristics: Northern wrynecks have a gray appearance without the stiff tail feathers of most picids. Their upperparts are gray mottled with brown and buff, with a diamond-shaped dark patch on the back extending to the nape (back of neck). The breast is light gray. Experts report that they have the longest tongue of any bird in proportion to its body. Sexes look alike, and juveniles look similar to adults. Adults are 6 to 7 inches (15 to 18 centimeters) long and weigh between 0.8 and 1.9 ounces (22 and 54 grams). Their wingspan is 11 to 12 inches (28 to 30 centimeters) long. Geographic range: Some species breed from northern Eurasia south through temperate Eurasia to Japan. 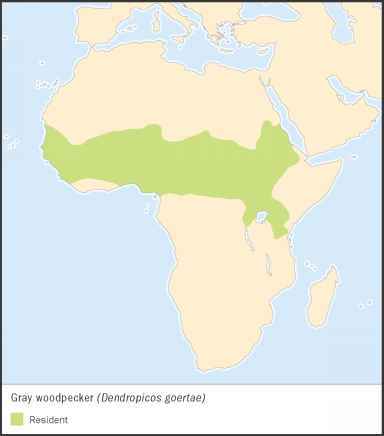 Other species breed in western Asia and northwestern Africa. Nonbreeding populations are found wintering in the warmer climates of central Eurasia south to drier areas of central and West Africa, India, Southeast Asia, southern China, and southern Japan. Habitat: They live in open deciduous or mixed forests, clearings, wooded pastures, and edge habitats with scattered ground cover. Diet: They eat arthropods, ants, and insect larvae and pupae (PYOO-pee; developing insect inside cocoon). They forage by hopping on the ground and capturing prey with its sticky tongue. Behavior and reproduction: Northern wrynecks have a call similar to "kew-kew-kdw-kew." They travel at night about their home range, alone during the nonbreeding season, as pairs during breeding season, or as post-breeding family groups. 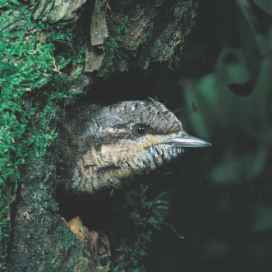 The birds build nests in old woodpecker holes, nest boxes, and other natural and artificial cavities, sometimes enlarging them. Nests are 3 to 49 feet (1 to 15 meters) off the ground, while the nest bottom is sometimes lined with grass or moss. 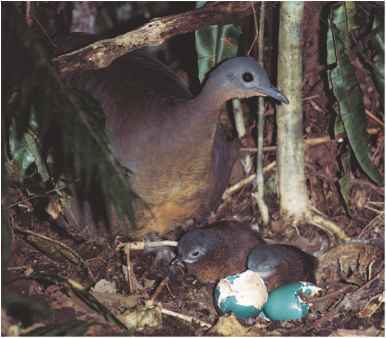 The clutch size is seven to twelve eggs. The incubation period is twelve to fourteen days and the fledgling period (time for young to grow flight feathers) is eighteen to twenty-two days. Both parents take care of young for ten to fourteen days after birds are able to fly. A second nest may follow after the first. Northern wrynecks and people: No known significant relationship exists between northern wrynecks and people.